Every year Buderim celebrates Australia Day in style with a big parade down the Main Street and other fun activities through the morning. 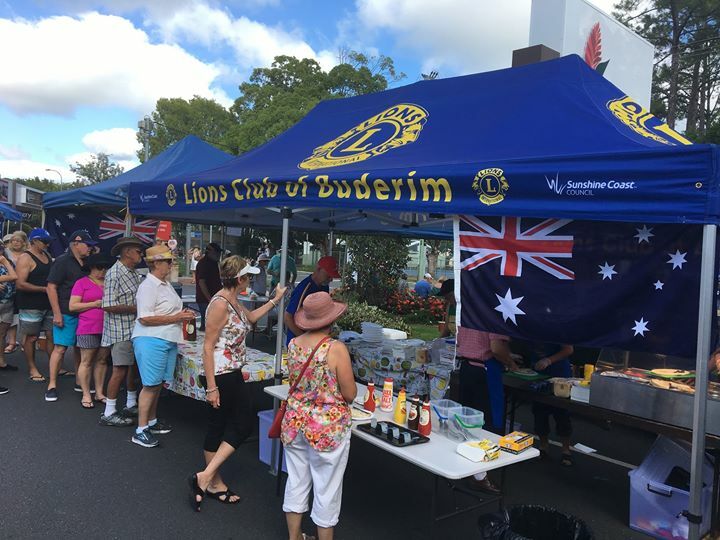 Every year, the Lions of Buderim hold a “Big Brekkie” in the Middy’s Carpark on Main Street from about 7am. When you come over to see the parade, make sure you pop over and enjoy a simple sanga on bread or a full Aussie Big Breakfast! Funds that are raised when you buy breakfast, go towards helping the Lions pay the costs, associated with their many support activities and programs in Buderim and across the Coast.